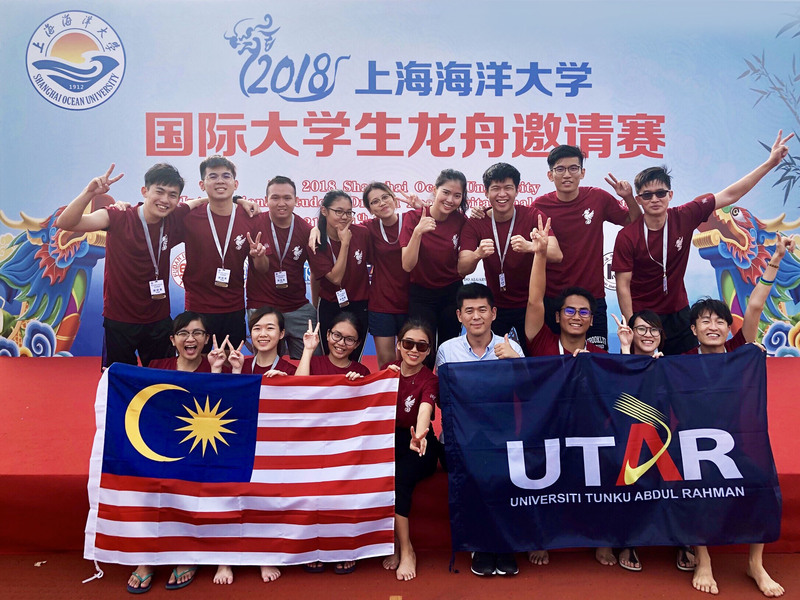 A group of UTAR students won Merit Award at the 2018 Shanghai Ocean University (SHOU) International Student Dragon Boat Invitational Tournament (上海海洋大学国际大学生龙舟邀请赛). The tournament was held on 23 September 2018 at SHOU’s Water Sports Centre, Shanghai, China. The students participated in 200 metres and 500 metres boat race. The team was comprised of Ching Ling Ming, Choi Zu Er, Foo Pol Li, Goh Cheng Yee, Jane Teo Ee Sheng, Kong Xing Yan, Koy Hee, Lee Cu Yee, Ng Hang Ping, Ng Sin Yin, Tan Yee Teng, Teh Yiing Er, Terence Hung Ting Kang and Wong Wee Ken. 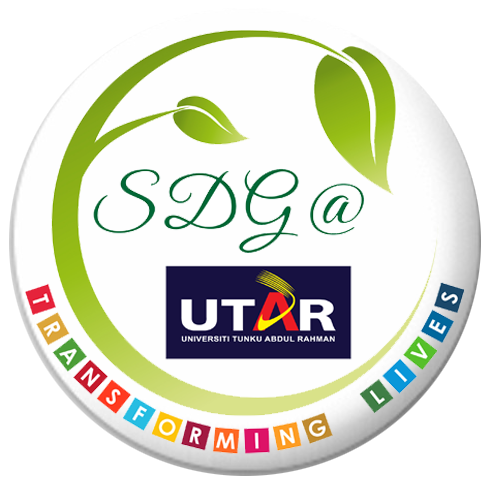 The students were led by UTAR Department of Soft Skills Competency (DSSC) lecturers Mah Siew Huei and Yoon Seck Hoe. 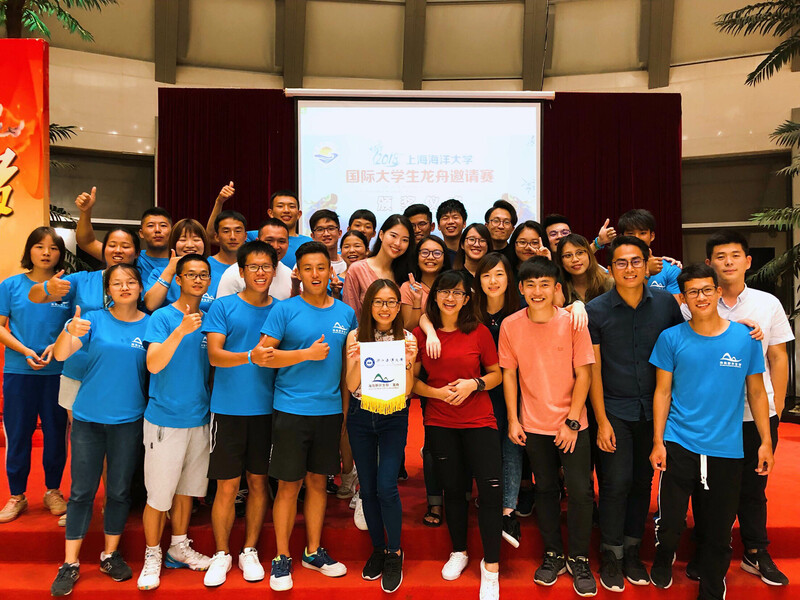 Organised by SHOU, it was the first international tournament held in the university, aimed to promote the dragon boat culture and oriental culture to the world. It was also a perfect platform for students and staff members from different universities to exchange ideas and culture, which strongly promote stronger global collaboration among universities. There were in total 11 teams vying for the top honour. 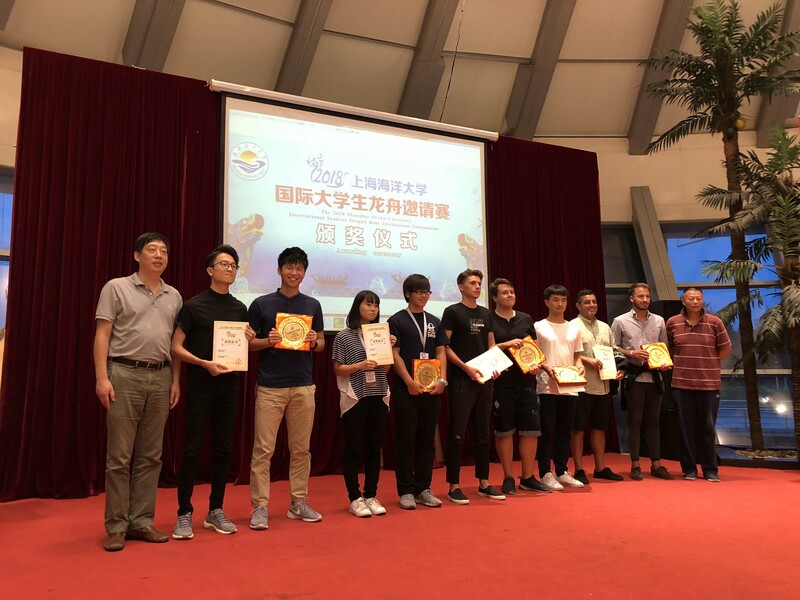 Other universities which participated in the tournament included Tokyo University of Marine Science and Technology, Japan, University of Algarve, Portugal, Zhejiang Ocean University, Fudan University, Tongji University, Shanghai University of Traditional Chinese Medicine, Shanghai Polytechnic University, Shanghai DianJi University, and SHOU, China. The dragon boats, used in the competition, consist of 10 to 12 people paddling away while one person acts as the helmsman and steers the boat. A drummer at the bow of the boat plays a steady beat that is supposed to help the paddlers to maintain their rhythm during the race. The boats were over 9 metres in length. The key to propelling the boat forward is for all members to paddle in a synchronised form. If one person is offbeat, the entire boat will be affected. The drummer plays a very important role as those paddling need to keep pace with the tempo at which he/she is beating the drum. 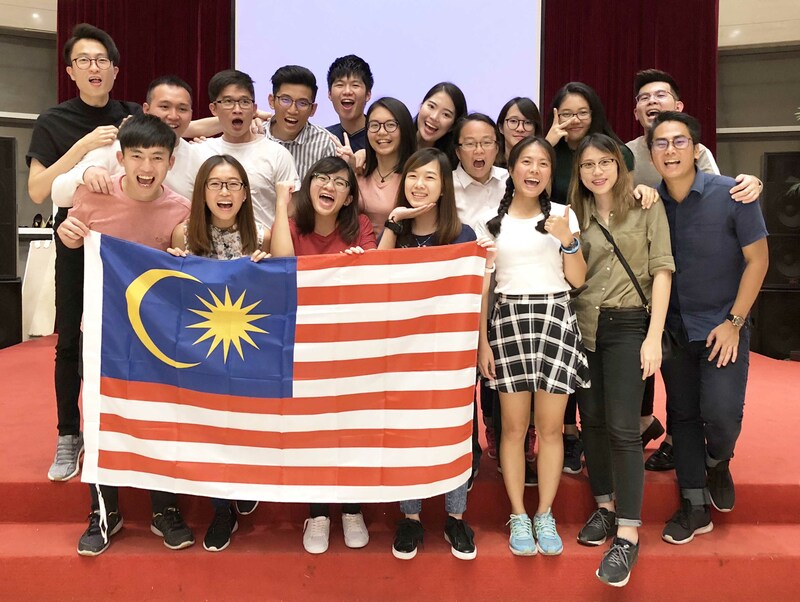 Therefore, UTAR students who went through intensive training, as well as the competition, deeply understand the importance of teamwork and collaboration. 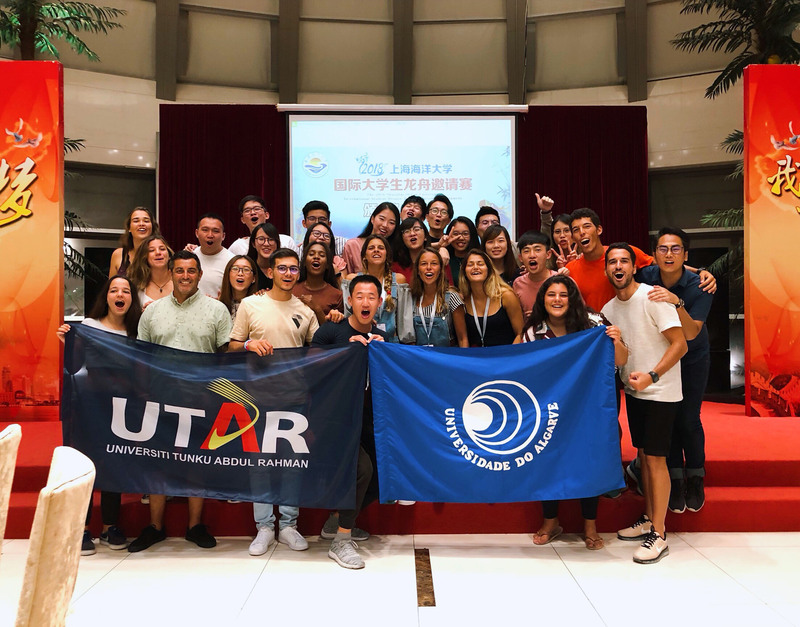 The three-day visit to SHOU saw UTAR students building meaningful friendship with students from China, Japan and Portugal. They dined together, went for an outing together, and cheered for each other during the tournament. The Chinese celebrate the annual Dragon Boat Festival on the fifth day of the fifth month of the Chinese Lunisolar Calendar, and this year the festival fell on 18 June 2018. They will be drawing on a heritage dating back more than 2,000 years. The racing is said to have originated in the legend of people paddling out to save the poet Qu Yuan (343-278 BC), who drowned himself in a river to protest the rampant corruption that occurred during his era. The rescue boats beat drums and splashed water in order to keep the fish and evil spirits from the poet’s body. 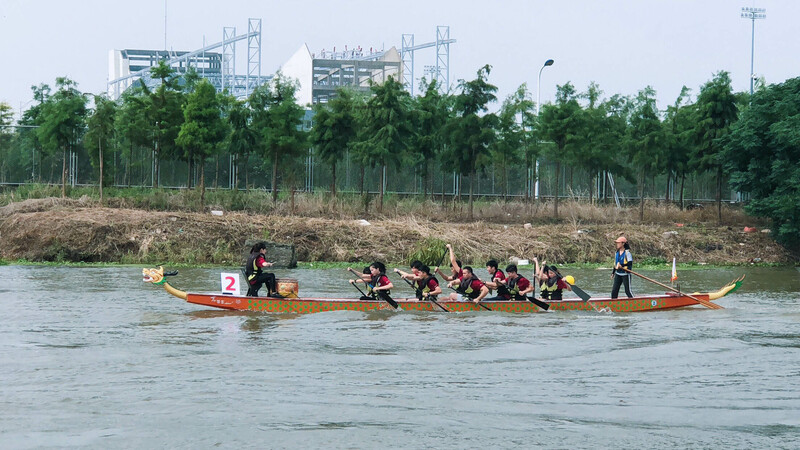 Today, dragon boat racing is all about fun, but its root in folk culture goes much deeper.